In a conservative educational climate that is dominated by policies like No Child Left Behind, one of the most serious effects has been for educators to worry about the politics of what they are teaching and how they are teaching it. As a result, many dedicated teachers choose to avoid controversial issues altogether in preference for "safe" knowledge and "safe" teaching practices. Diana Hess interrupts this dangerous trend by providing readers a spirited and detailed argument for why curricula and teaching based on controversial issues are truly crucial at this time. 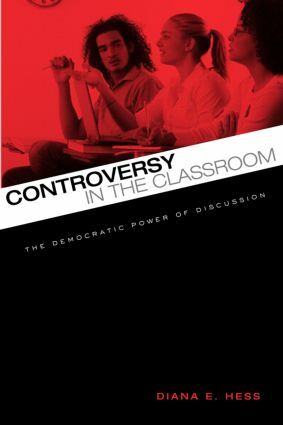 Through rich empirical research from real classrooms throughout the nation, she demonstrates why schools have the potential to be particularly powerful sites for democratic education and why this form of education must include sustained attention to authentic and controversial political issues that animate political communities. The purposeful inclusion of controversial issues in the school curriculum, when done wisely and well, can communicate by example the essence of what makes communities democratic while simultaneously building the skills and dispositions that young people will need to live in and improve such communities.